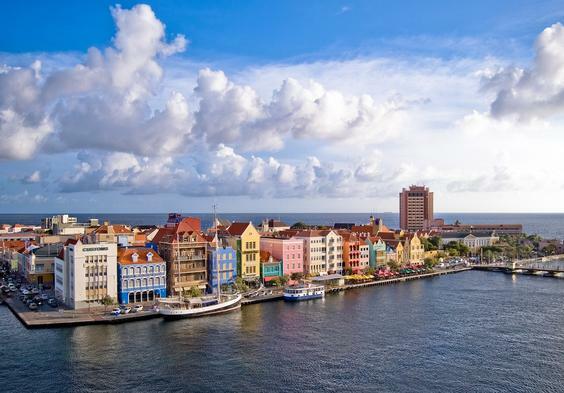 Islands, in helping wealthy individuals pay less tax. 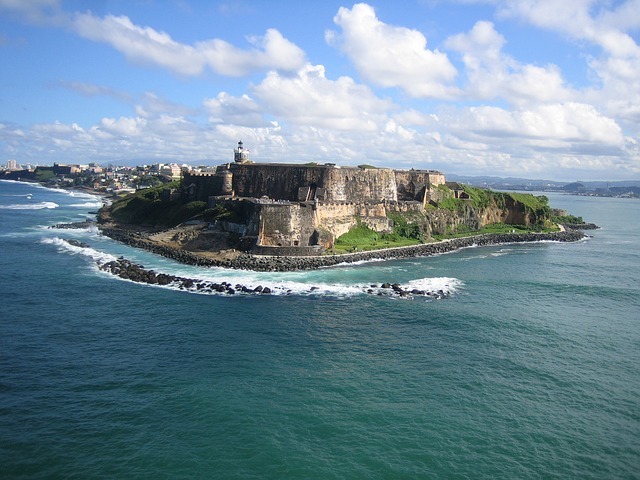 Puerto Rico is a US territory, which means it is technically part of the United States but largely administered by an insular local government. It is a four-hour flight from New York City, offers a nice climate, and doesn’t have another obvious strategy for economic growth. But most important is the law passed a year ago, which exempts new residents from the island’s already small 10% capital gains tax. The local government is luring investment managers, who can often treat their salaries as capital gains, along with other wealthy Americans whose income is largely investment returns, on moving to the island, with the hope that their arrival will coincide with investments in real estate, more service consumption, and perhaps new businesses forming here. The law does offer a significant financial advantage, but before it was enacted, capital gains were taxed at only 10%—still more than fifteen percentage points lower than the American rate, which could have still attracted wealthy residents. People taking advantage of the law must live on the island for 183 days a year, among other residency requirements, and depending on how strictly they are enforced, Puerto Rico may be more of a retirement destination for the super-wealthy than the kind of place where they operate a business. The issue, though, are Puerto Rico’s economic woes: 14% unemployment, little in the way natural resources, growing pension obligations, and a robust grey market have the country on the budgetary ropes, with raters looking to downgrade its already junk-level bonds. Those high yields are attracting investors, but they are essentially betting on the expectation that the US won’t let its territory go under. They might not be wrong: The UK, after all, rescued the Caymans when that country foundered financially, but it attached a number of strings, including efforts to limit tax avoidance. While the government guarantees the capital gains tax break through 2035, a country looking to raise revenue will find a way to tap the pockets of its wealthiest residents. Indeed, tax incentives have proven to be both a boon and a bane to Puerto Rico: The country’s recent economic troubles can be traced in part to the end of costly manufacturing tax breaks the US government gave to companies who made goods on the island. But when those breaks ended, in 2006, many companies kept their facilities on the island while transferring ownership to Cayman Islands subsidiaries, avoiding taxes in both Puerto Rico and the United States. The best countries for Snowden, the following countries have extradition treaties but do not always comply with US requests: Bolivia, Ecuador, Iceland, Nicaragua, Switzerland, Venezuela, and Zimbabwe. Snowden could have taken the steps we recommend on our site and publications on the best countries to obtain a second passport, open an offshore account, and more. Internationalizing is a strategy for anyone who does not want to be under the total control of the whims of one particular government – especially one that is desperate and bankrupt. Havana, Cuba is well known for it’s great cigars, exotic night life, beautiful women and old charm, but there are more….. Cuba has a territorial tax system for foreigners that are resident in the country. However, ordinary Cubans are taxed on their world wide income. The extremely low salaries and cost level adds to the attraction. The average salary for state employed Cuban’s is about USD 19 per month. An average pension is USD 5 per month. “The government pretends to pay us and we pretend to work”. To motivate Cuban’s to work can be a challenge according to new business owners. The salaries is not enough to survive, and food is rationed so the state provide basic food on quotas to favorable prices, and traditional health care is free. However, pharmaceuticals are in short supply, but foreigners are given preference before ordinary Cuban’s here as well because they have money and can pay. Many Cuban’s receive money almost monthly in support from their relatives abroad (mostly in the US) that escaped the revolution. 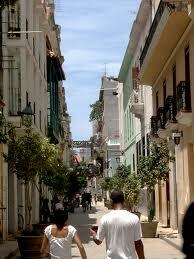 Street view of old Havana, Cuba. Courtesy of Wiki Commons. A large privatization program has been underway in Cuba for some time. The state has begin giving back the homes taken during the revolution to the people, and all types of small businesses have been / are being privatized. However, there are still travelling restrictions for ordinary Cuban’s and the media and internet use are strictly controlled by the state. Dissidents are not tolerated. As it was in Eastern Europe at the fall of communism most buildings and infrastructure incuding public transportation systems are “run down” and in need of extensive renovation. The state is broke and the Cuban’s have no savings. The key to future investments are in the hands of the more than a million displaced Cuban’s abroad, many living in the Miami area of the United States. They have the money and could come back to Cuba in the future. Havana city faces a serious drinking water shortage due to gross neglect of the infrastructure for decades. In addition the United Nations Environmental Program (UNEP) warns that water pollution in Cuba is a serious concern. The standard practices throughout the revolutionary period of virtually non-existent pollution limits, and detrimental agricultural practices, seem to have taken a significant toll on the Cuban environment. Cuban bays are widely recognized as being polluted. New luxury hotels are planned on Cuba to attract foreigners. This hotels will have their own clean water systems. A new global report on internet connectivity says that Hong Kong continues to have the fastest average peak internet speed, and that it has the third-highest average connection speed. Cloud service provider Akamai found that Hong Kong has an average peak internet speed of 65.4Mbps, ahead of South Korea, Japan, and Singapore. However, South Korea came first for average connection speed, at 22.1Mbps, while Hong Kong came third, after Japan, at 12.5Mbps. Further, 81 percent of Hong Kong’s connections were above 4Mbps, and 38 percent were above 10Mbps. The UK was ranked 14th for average connection, at 9.1Mbps; 77 percent of the country’s connections were above 4Mbps, and 27 percent were above 10Mbps. By comparison, Spain’s average connection was 6.9Mbps, with 71 percent above 4Mbps and 14 percent above 10Mbps. Hong Kong star Ella Koon. Picture courtesy of Wiki Common. Meanwhile, Australia’s average connection was 5.5Mbps, with 51 percent 4Mbps and 8.1 percent above 10Mbps. Akamai’s figures refer to the third quarter of 2013. The company explains that it has a globally-distributed Intelligent Platform made up of a distributed network of servers and intelligent software, which delivers over two trillion interactions daily. The Platform allows Akamai to gather large amounts of information on many metrics, including connection speeds and network connectivity/availability issues, and the data is published quarterly in the company’s State of the Internet Report.